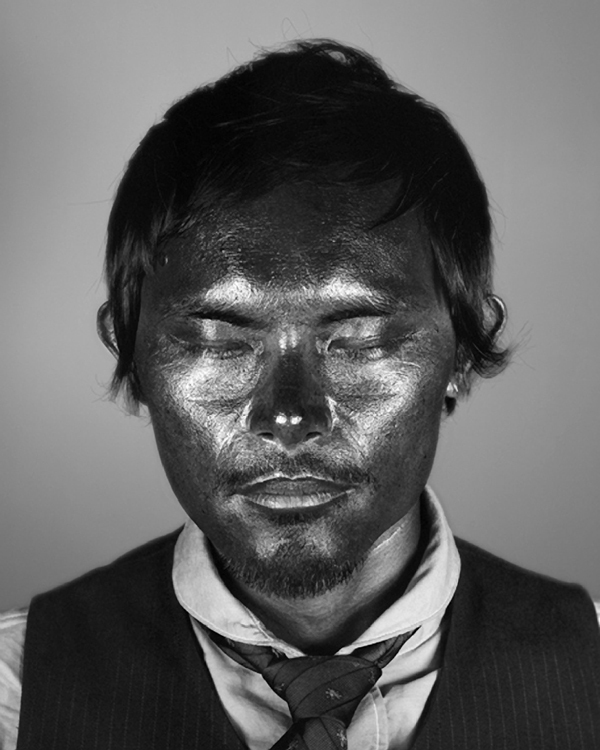 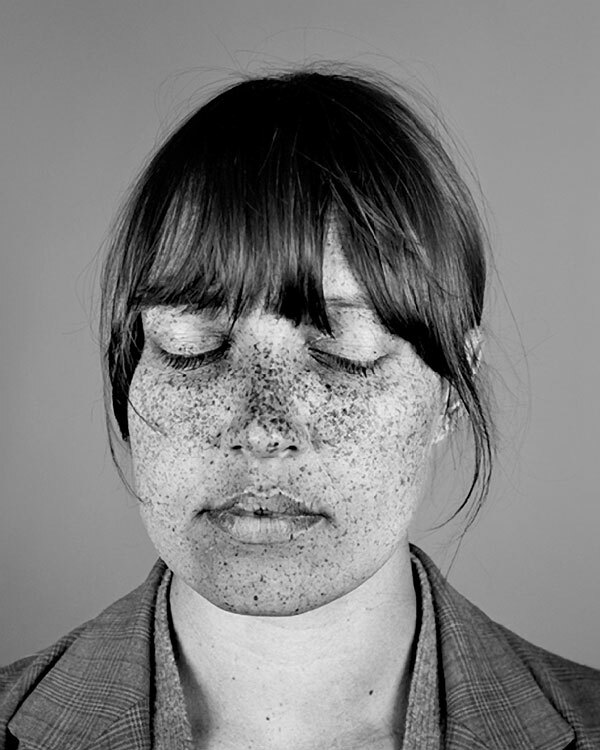 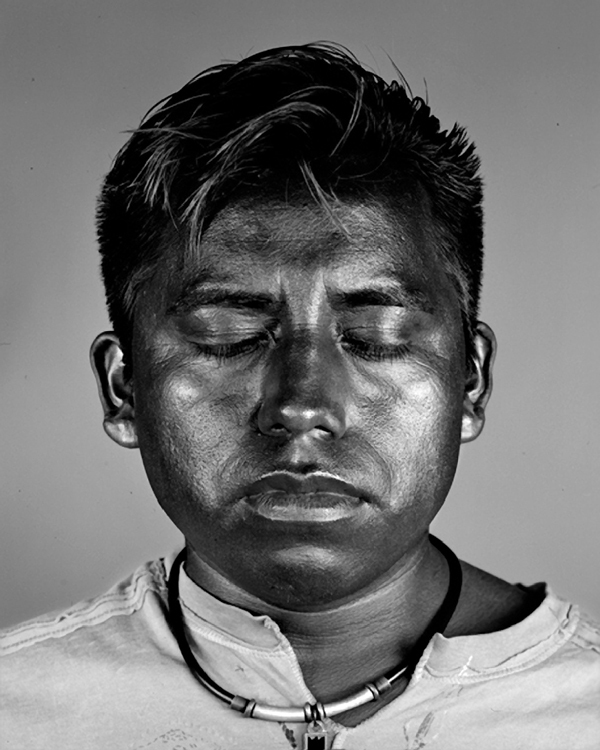 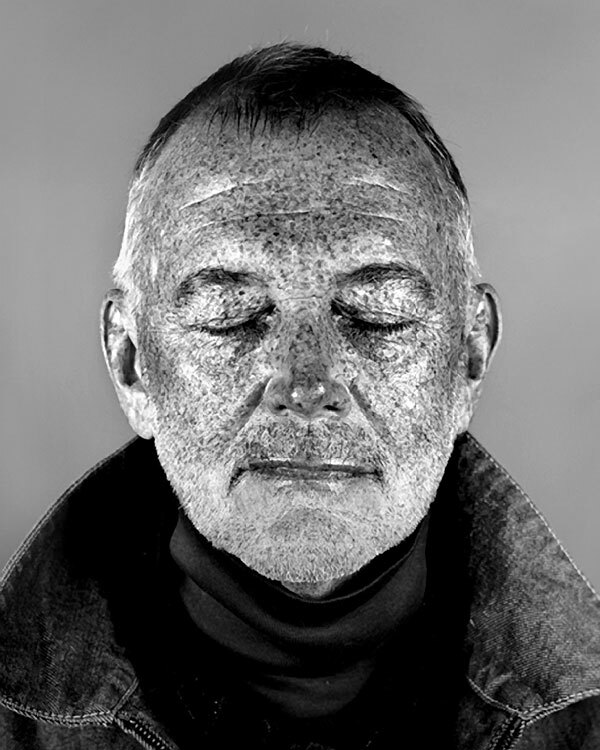 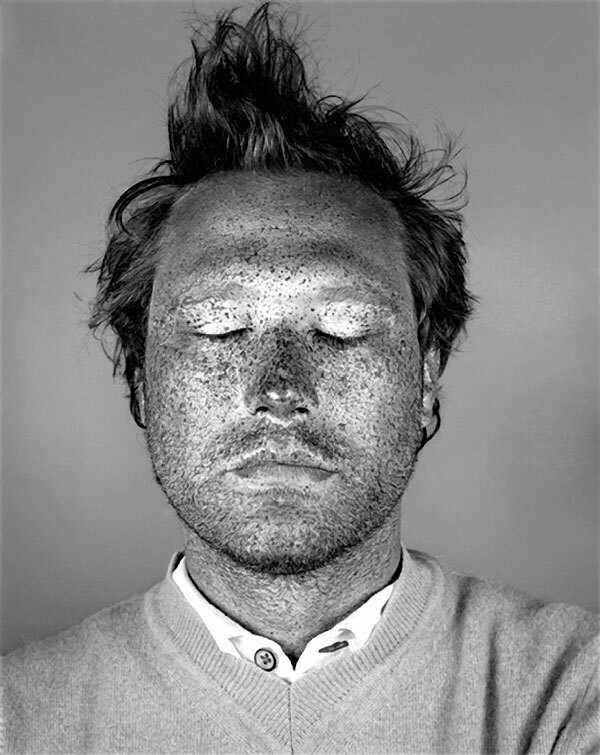 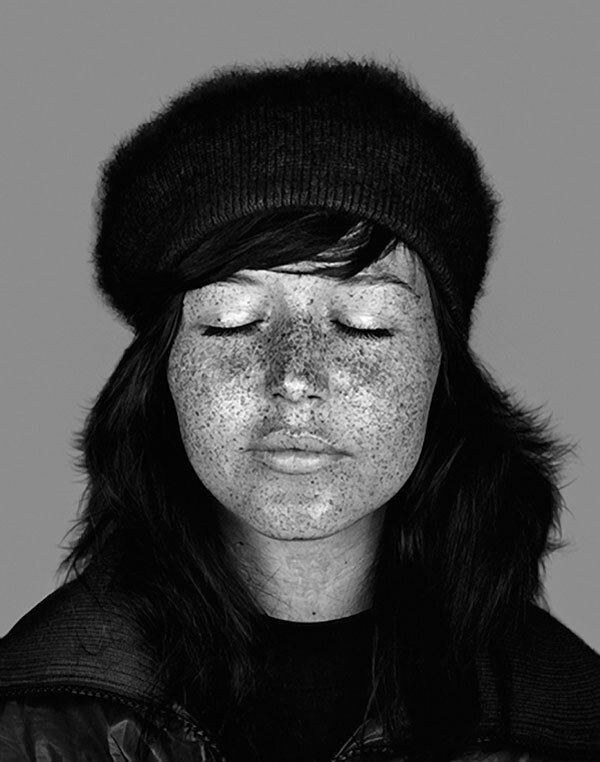 Black and white UV photos, utilizing the same technology used by dermatologists and medi-spas, that highlights the flaws of the skin surface. 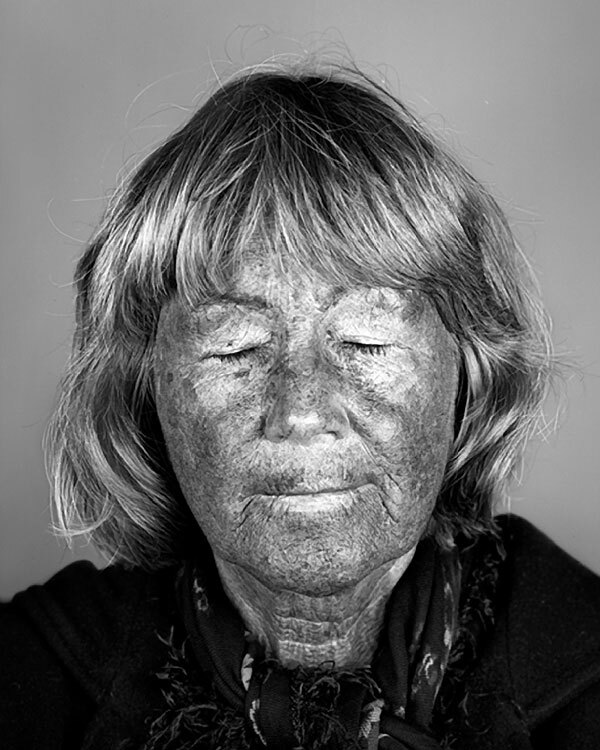 This unseen damage are used by beauty professionals and doctors to sell treatments to their clients and patients. 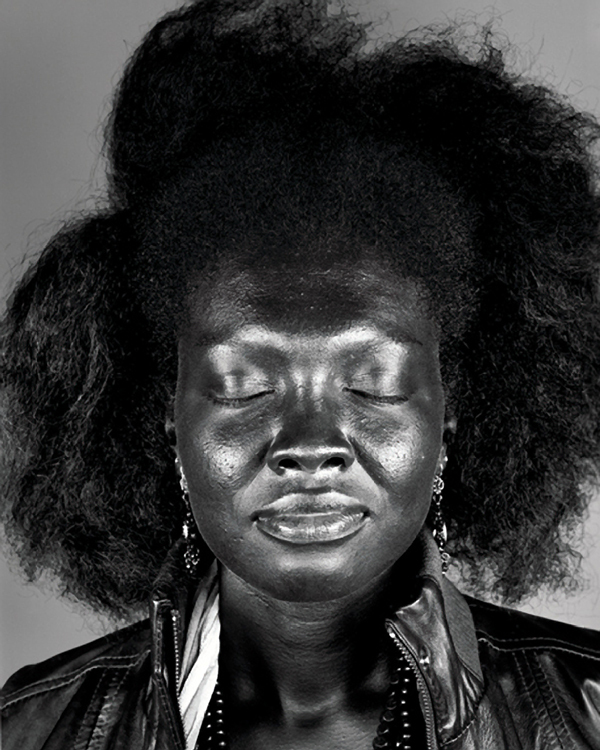 The series, started in 2008, were taken on the streets of New York City to offer pedestrians a chance to see their possible "future" skin and reconsider the fear of flaws that pervades our society.